Hello Members!! Now we give you another great Cruise offer by Costa Cruises. Experiences all the freedom with the Costa Mediterranea sail 8 days / 7 nights through Persian Gulf departing from Dubai (UAE) for less than 300 Euro. The prices already available from just CHF 284 / €252++ per Person (interior cabin). It is All Inclusive cruise from Dubai, UAE! Cruise starts on 18 January 2019. The price does not include service tips and alcohol on board. We recommend for you to act fast! The prices will up soon. 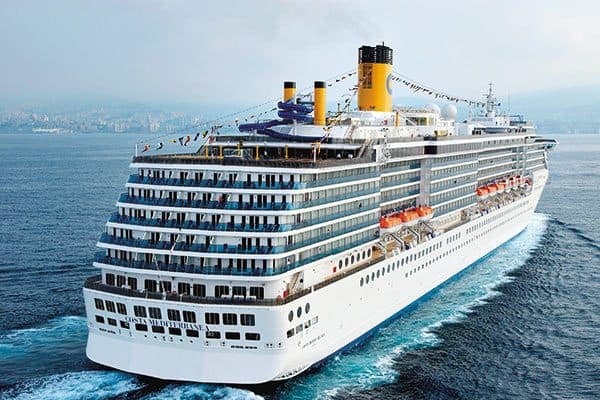 The Costa Mediterranea has a unique personality inspired by Italy’s 17th and 18th century palazzi and castles, while the decks are dedicated to mythology in the Mediterranean Sea–a crossroads of cultures and civilizations. The spectacular Maschera d’Argento Atrium spans 10 decks high and features an incredible sculpture of dancers suspended mid-air. This unique Costa fleet boat is reminiscent of an aristocratic Sicilian palace, the two-level Degli Argentieri Restaurant is adorned with exquisite objects d’art and frescos. The interior spaces on board this 86,000 ton Costa fleet ship are truly an expression of an inimitable, unique style. Note: The price does not include Service Fees: Adults €10.00 per day. The charge will be paid on board at the end of the cruise. We recommend for you to book early to get the best prices.